Life needn't be a series of resistances. That can be fatiguing and not always productive. But perhaps life should involve some level of boundary-crossing, else we live a kind of Newspeak existence. 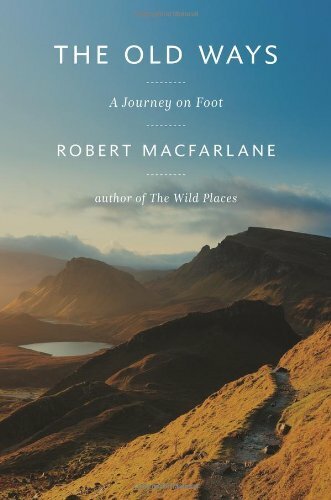 For Macfarlane, such crossings were harder to come by; here is a man who has been free to walk and boat, and we can see the chronicle of this freedom—from England to Scotland, Spain to Tibet, and places in between. So we find him making his crossings in intimate physical ways, such as taking a landscape barefoot or in the torrential rain. Says Macfarlane, "there are kinds of knowing that only feet can enable, as there are memories of a place that only feet can recall." And he recalls them: hot paths across boulder clay, warm harrow-crushed soil, grass burnished so its blades "flattened together to create a cool surface." The most interesting crossings, however, at least to this reader, were those that involved forays into the lives of people, both living and dead—an artist who folds air or water into the center of rocks (and plans to implant a skeleton sculpture in a boulder where no one can see it, the interior space made sacred by an act of creation that will be invisible to any passerby); a collector who has a "library" of "books" that are actually intricate boxes in which feathers, stones, gold leaf will tell you your past or your future; the poet Edward Thomas and his wife Helen, who knew Robert Frost and whose lives were forever changed by a misreading of "The Road Not Taken." Macfarlane's crossings can, to some extent, become ours, if we allow his language and rich imagery to expand our experience. Still. I have already told my daughter that I think she might someday follow in Macfarlane's footsteps, across The Icknield Way. Some journeys, after all, can only be taken by walking. Some thoughts are only made possible by speaking the language of wayfaring—on your feet. L.L. Barkat is managing editor of Tweetspeak Poetry. She is the author of five books, including The Novelist: A Novella, about a blocked writer who, through the rituals of tea and meeting a "tea empress" on Twitter, comes to find an unexpected story locked inside. She also has a book called Rumors of Water: Thoughts on Creativity & Writing, twice named a Best Book of 2011. Copyright © 2012 Books & Culture. Click for reprint information.